A link between climate, ice melt, and volcanic eruptions is found | Watts Up With That? It has long been known that volcanic activity can cause short-term variations in climate. Now, researchers at the GEOMAR Helmholtz Centre for Ocean Research Kiel (Germany), together with colleagues from Harvard University (Cambridge, Massachusetts, USA) have found evidence that the reverse process also occurs: Climate affects volcanic activity. Their study is now online in the international journal “Geology”. In 1991, it was a disaster for the villages nearby the erupting Philippine volcano Pinatubo. But the effects were felt even as far away as Europe. The volcano threw up many tons of ash and other particles into the atmosphere causing less sunlight than usual to reach the Earth’s surface. For the first few years after the eruption, global temperatures dropped by half a degree. In general, volcanic eruptions can have a strong short-term impact on climate. Conversely, the idea that climate may also affect volcanic eruptions on a global scale and over long periods of time is completely new. Researchers at GEOMAR Helmholtz Centre for Ocean Research Kiel (Germany) and Harvard University in Massachusetts (USA) have now found strong evidence for this relationship from major volcanic eruptions around the Pacific Ocean over the past 1 million years. They have presented their results in the latest issue of the international journal “Geology”. To expand the scope of the discoveries, Dr Kutterolf and his colleagues studied other cores from the entire Pacific region. These cores had been collected as part of the International Integrated Ocean Drilling Program (IODP) and its predecessor programmes. They record more than a million years of the Earth’s history. “In fact, we found the same pattern from these cores as in Central America” says geophysicist Dr Marion Jegen from GEOMAR, who also participated in the recent study.Together with colleagues at Harvard University, the geologists and geophysicists searched for a possible explanation. They found it with the help of geological computer models. “In times of global warming, the glaciers are melting on the continents relatively quickly. At the same time the sea level rises. The weight on the continents decreases, while the weight on the oceanic tectonic plates increases. Thus, the stress changes within in the earth to open more routes for ascending magma” says Dr Jegen. The rate of global cooling at the end of the warm phases is much slower, so there are less dramatic stress changes during these times. “If you follow the natural climate cycles, we are currently at the end of a really warm phase. Therefore, things are volcanically quieter now. The impact from man-made warming is still unclear based on our current understanding” says Dr Kutterolf. The next step is to investigate shorter-term historical variations to better understand implications for the present day. Not a model in sight … must be real science. It does make sense that a reduced overburden load of ice might increase the chances of an eruption. Even for Mt St Helen’s one of the videos shows pretty clearly that the trigger for the blast was a landslide that removed considerable weight from the top of the mountain. It’s a fascinating area of research, though it does not really say much about anthropogenic influences. You better go back and reread that article. They used ‘geological computer models’ to examine their theory. Just read the abstract of this study. They mention detection of ‘Milankovitch periodicities in volcanic output across the Pleistocene-Holocene ice age”. It’s curious that the above article does not mention this at all. I wonder if the unintuitive sea level decrease from ice loss due to mass loss near the volume of ice loss was taken into consideration in their models? I saw this first referred to in Gizmag and I though I should suggest the story but Watts got in first. No doubt some alarmist is going to jump on it ignoring the Milankovitch frequencies given that the Milankovitch cycle is about 26000 years. Geological computer models to come to a reason. I read the reference and how did they measure volcanic activity given most of its in the deep oceans and if its just land than it can’t be Isostatic geological decompression as that is supposed to be the oceans relatively rising. So unless Magna is flowing all the way under the deep oceans to the land than its a big fail as a theory. Once upon a time I told my geophysics prof that I thought that rapid changes in the earth’s magnetic field could induce heating of ferromagnetic and low resistivity rocks by eddy losses, in other words magnetic induction heating. He said it was probably an insignificant factor. Someone with time and means should have a look at this if it has not been done already. A warming Sun exciting the Earth’s AC magnetic field ?? @Truthseeker, you’re obviously trying to be ironic, but the last two paras are models. Any half-decent theory is a model, even if it’s completely wrong. Your way of telling whether or not it’s real science is a model! Science, and anything in real life, is replete with models. And imaginary life is itself a model! People are model-making machines. 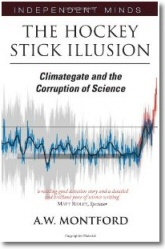 “If you follow the natural climate cycles, we are currently at the end of a really warm phase. Will the journal editor be forced to resign and apologize to Kevin Trenberth for allowing this sentence through? of the energy went upward most went to the side, the explosion of the volcano went the way of least resistance to the side. The blast created the landslide….and lots of Andesite…. Looks to me like we may have some real science going on here even with the computer modeling. Well whaddya know, a Negative Feedback! I will not quote Robert Frost. “If you follow the natural climate cycles, we are currently at the end of a really warm phase. Therefore, things are volcanically quieter now. The impact from man-made warming is still unclear based on our current understanding” says Dr Kutterolf. Incidentally, it has been Doomsday for sixteen hours here in Brisbane. The sky is a bit cloudy, but, as far as I can tell, the world hasn’t come to an end yet. Still time, though. Weren’t we all laughing at the article around the time of the Icelandic eruptions which claimed the exact same thing? Explosive volcanic eruptions are associated with subducting plates. For example, off the coast of Washington State there is the Juan de Fuca Plate and Mt. St. Helens is about 90 miles from the coast. In contrast, Kilauea Volcano (Hawaii) is much less explosive. The timing of explosive eruptions ought to be related to the rate and angle of descent of the subducting plate. The rate of plate movements appears to be controlled by the production of magma underneath spreading centers or ridges. The provided link is to an abstract. Full PDF is a $25 one day deal. While I am wondering what the full paper says – I can wait. So with that lesson in paradigm shift in mind, let’s evaluate what is presented here. Raise the water lever by melting the ice, their by raise the water pressure at the sea floor trenches — 300 ft in 15,000 ft? Two Percent? When it comes to plausible mechanisms, however, I can make a very good case for climate induced volcanism at the COLDEST part of the ice age, not the warmest of the interglacial. Consider this…. At the closest point, we have ice sheets bearing down on the cratons of the world. Sea level is very low with beaches at the continental margins. Every volcanic island and seamount now has 100 m + of its once submerged skirt above water. The stresses on the flanks of these active / dormant / extinct volcanos is much higher than when formed. Large-run-out-landslides will become more frequent. Each on exposing the core of the volcanos to less overburden pressure inducing eruptions. Imagine the sloughing of the north slope of Mt. St. Helens causing its eruption. Now transport that landslide process to Oahu and Molokai as well as Fiji, Java, Martinique, Monserrat, Marianas, Solomon Is., Aleutians, Philippians, … there are hundreds of potentially eruptive islands. These seamount and volcanic islands might be especially susceptible to landslides because a large part of them are composed of underwater erupted and cooled pillow lava that can be thought of as watermelon sized ball-bearings upon which the dry land rests. True, these volcanos are basaltic and are not generally as explosive as the andesitic St. Helens, but hot rock and ocean water may make their own kind of fire works. I’ve read and heard about these subsea runout landslides, but until now I had not considered that they might be triggered by sea drops, but it now seems inevitable. So the paradigm shift I have made tonight is that climate change CAN cause a world-wide increase in volcanism. The trouble is, I can much more easily believe a sea-level low stand causing landslides as the volcanic trigger than a sea-level high stand. Interesting speculation, but we wouldn’t see any effect for thousands of years. woodfortrees.org doesn’t have this dataset up yet, so it’s hard to confirm. @RoHa. Good to know Brisbane is still there. However, some people believe that the end of the world will happen at the exact time of the winter solstice: Dec, 21, 2012 at 11:12 UTC. Or as I write it: 121221.1112, a eerie collection of 1s, 2s and no other digit. How did the Mayans know we’d be measuring time from Greenwich, England? Spooky. Reminds me of Apollo 13. The mission’s launch date written numerically was 4-11-70; add the digits to get 13. Lift off was Wed. April 11, 13:13 Houston time. Two days after liftoff, the Oxygen tank blew up. April 13. No, it was NOT a Hollywood script. It was real life. Ok…. LATER, it became a hollywood movie — and a pretty good one. Back to the clock… 3 hrs and 42 minutes to go. The periods of high volcanic activity followed fast, global temperature increases and associated rapid ice melting. My spidey-sense is tingling, and this is not a good thing. Call me cynical along with my sceptical side, but this seems like a grant-grabbing preamble to a fresh litany of things caused by climate change. If that is the case, in reality, we are all doomed because EVERYTHING is caused by climate change. And because climate change IS, that is metaphysically, (no denier here), then sooner or later it will cause our demise, or some other side-effect which will tip the balance. The science, therefore, is settled /sarc. Is there a non paywalled version somewhere? My gut feeling is that this is likely to be fanciful interpretation of geological ‘noise’. I do accept that ice age mass will likely affect crustal/tectonic stresses, etc – but remember that these stresses are built up slowly as the ice mass increases, and decrease slowly as it melts. Consequently, I don’t really see how major faults and associated volcanic outpourings will show an obvious ‘peaking’ over and above normal constant (but naturally erratic) movement of faults and other tectonic activity. From the abstract, I can’t really see that a direct cause/correlation relationship would be easy to establish and I would like to see how they derived their statistical significance! On the modeling side, I wonder what they modeled and how! Most likely direction: tectonic movements, volcanic activity and geomagnetic index are all affected what is going on deep inside the Earth’s interior. “Other possibilities are that some other (Earth) core process could be having a more indirect effect on climate, or that an external (e.g. solar) process affects the core and climate simultaneously. Lapse rate of 1Celsius per 100m. So you’d need a hell of a lot of warming to melt significant ice at the top of a volcano. Anyway, if a volcano went off, the dust particles would cause cooling, thus protecting all the other volcanoes. Sounds very ill thought out to me. More likely, average global volcanicity stays much the same but when the ice builds up on the continental land masses there is more activity under volcanic islands in the oceans and when the ice declines there is more activity under the continental land masses. And why does it seem to tie in so nicely with changes in the Sun, ie, the sleeping sun? The forcing mechanism that causes unexplained cyclic changes to ocean level (the amount of ocean level change is more than can be explained by ice sheet melting and ice sheet forming) is a cyclic change in the sun not insolation at high northern latitudes (N65) caused by orbital changes. There are no orbital changes that can cause a 10 to 15 m change in ocean level about every 6000 years. (see paper linked to below). The solar changes do also cause the planet to warm and cool by both direct (Svensmark’s mechanism) and indirect mechanisms (the solar change cause an abrupt change to the geomagnetic field which in turn affects planetary temperature by Svensmark mechanism). The geomagnetic field changes can affect planetary temperature for hundreds or thousands of years depending on the magnitude of the change. A observation that supports the assertion that solar changes cause an increase in volcanic activity and an abrupt change to the geomagnetic field is the finding that there is an increase in volcanic activity when during solar magnetic cycle minimums. The mechanism is such that the effect is significantly larger when there is an abrupt change from a period of very, very, high solar magnetic cycles to a Maunder minimum. This happens with a periodicity of roughly 6000 years, however, the affect is amplified or inhibited by the orbital configuration at the time of the solar magnetic cycle slow down and the time of the solar magnetic cycle restart. The Heinrich event is caused by a series of solar events that occur when the solar magnetic cycle restarts. “… the pre-Last Glacial Maximum (pre-LGM) is characterized by substantial fluctuations in sea level of 10 to 15 m about every 6000 years. The timing of these rapid change events during oxygen isotope stage 3 (OIS-3) apparently coincides with Heinrich ice-rafting events recorded in North Atlantic sediments (61), which suggest that they reflect major ice discharges from continent-based or shelf grounded ice sheets (62). Of note is that sea level falls during this period occur in similarly short time intervals and the ice accumulation also appears to have been a rapid process (39). William: Another observation that supports the assertion that solar changes are causing the cyclic increase in volcanic activity is finding there is a simultaneous increase in volcanic eruptions in both hemispheres. There are not ice sheet changes in both hemispheres that correlate with the volcanic regions. Very good. Obviously Kutterolf wanted to get in on the Global Warming action, I guess CORDIS is as full of EU dough for alarmist research as ever. Kutterolf knows he describes Milankovicz warming but an EU bureaucrat is not intelligent enough to tell the difference. Your remark kinda destroys his correlation – causation tale. The finding of correlation is very interesting but correlation is not causation. Unfortunately pay-walled so no idea whether is is well founded or not. Since global warming causes everything from malaria to blindness in babies, why not volcanoes. Milankovich frequencies are extra terrestrial in origin , this may be a first step to a recognition of extra-terrestrial influences on climate. Interestingly, Asimov has no problems with an intelligent planet and an intelligent Galaxy but skips the step of an intelligent sun. The following are links to papers supports my above comments. (I have been working away at the astrophysical end to explain how the sun could cause the observed cyclic magnetic field changes and have had a couple of significant breakthroughs. I have the basic outline of the solution. The next step is to work out the details and to gather data and papers to support the assertion. I will have sometime next year to work on this more or less full time. The nature of the problem requires assistance from a team of specialists which will be a challenge. cooling events (in a region extending from the eastern North Atlantic to the Middle East) now covers a period of 5 millenia and involves 10 events (see f.i. Figure 1 of Gallet and Genevey, 2007). The climatic record uses a combination of results from Bond et al (2001), history of Swiss glaciers (Holzhauser et al, 2005) and historical accounts reviewed by Le Roy Ladurie (2004). Recent high-resolution paleomagnetic records (e.g. Snowball and Sandgren, 2004; St-Onge et al., 2003) and global geomagnetic field modeling (Korte and Constable, 2006) support the idea that part of the centennial-scale fluctuations in 14C production may have been influenced by previously unmodeled rapid dipole field variations. In any case, the relationship between climate, the Sun and the geomagnetic field could be more complex than previously imagined. And the previous points allow the possibility for some connection between the geomagnetic field and climate over these time scales. I read the article again and noted that the change in the level of stress was supposed to accelerate volcanic activity. I guess that makes sense as the glaciers were often over 1.5kms thick and that’s a lot of weight, which would be removed during glacial melt. Then I thought of little Iceland and its troublesome volcanoes. About 60% of Iceland is covered with lava flows and volcanic ash fields, which are less than three million years old. Also, Iceland is currently responsible for around one third of the world’s volcanic activity. Iceland’s volcanoes and the closing of the Panama Isthmus may be the reasons behind the Pleistocene Ice Age, which started ~2.65 million years ago. Most of the world’s volcanoes are located at high altitudes or high latitudes. During ice ages they would likely have been covered by thick sheets of glacial ice. When the ice began to melt, the downward pressure of their weight would decrease, thus making it easier for magma to ascend to surface through cracks and fractures. This process would cause a modest short term acceleration and deceleration in volcanic activity, but not a long term change in it. Another factor to consider is that when volcanoes erupt under ice, they create much very more ash than usual and that in turn cools the planet. The small ash eruption of Eyjafjallajökull in 2010 in Iceland caused havoc to North Atlantic and European air travel. Three of the most famous of Iceland’s sub-glacial volcanoes are located the under the Vatnajökull glacier. When and if any of the Grímsvötn, Öraefajökull and Bardarbunga volcanoes beneath this glacier erupt (every few hundred years), it makes the Eyjafjallajökull eruption look utterly puny. I had never thought of this before, namely that sub-glacial volcanic eruptions may have a big impact on prolonging ice ages due to the amount of ash they spew into the atmosphere. It is not very plausible to consider the very small changes in sea level and ice loss in the current, highly stable climate era a significant trigger factor for eruptions. There may be more value to the hypothesis during times of rapid climate change when ice sheets build up or melt off at a fast pace. However these events should be clearly correlating with geological evidence. “If you follow the natural climate cycles, we are currently at the end of a really warm phase. ” says Dr. Kutterolf, who apparently has not been properly indoctrinated. No more funding for you. “Thus, the stress changes within in the earth to open more routes for ascending magma” says Dr Jegen. What makes the magma ascend? You have not completed the analysis of the full cycle of change, you are referring to only selected parts. Why does not tidal change, which alters water weight distribution daily, also cause stress changes and fractures? Another case of the establishment trying to lock out dissent. Excuse me if I am being thick here, but if Mt. Pinatubo dropped global temps for the next few years after 1991 by 0.5 degrees then this would have put the 90’s in the same temperature give or take that has existed since 1998 and indeed has existed to the present day. Therefore the standstill in global warming could be said to be (Pinatubo aside) roughly constant since 1991. Mt St Helens under a mile of ice..no one would even notice that it had erupted. No sea bed ash nothing in the cores. All would seem quiet under miles of ice. Concur with @Mike Bromley the Canucklehead. The message will be that now in addition to storms, droughts, rain, wind, etc., driving your auto and using electricity causes extreme volcanoes. There it is! I was holding my breath through the article waiting for the usual bowing and scraping before the god of Warmism, and appeal for more funding so that the manmade cause of volcanoes could be “discovered”. All is right with the world. Every volcanic island and seamount now has 100 m + of its once submerged skirt above water. The stresses on the flanks of these active / dormant / extinct volcanos is much higher than when formed. Seamounts in the Hawaiin chain are way off the volcanic hotspot, and not subject to further eruption. 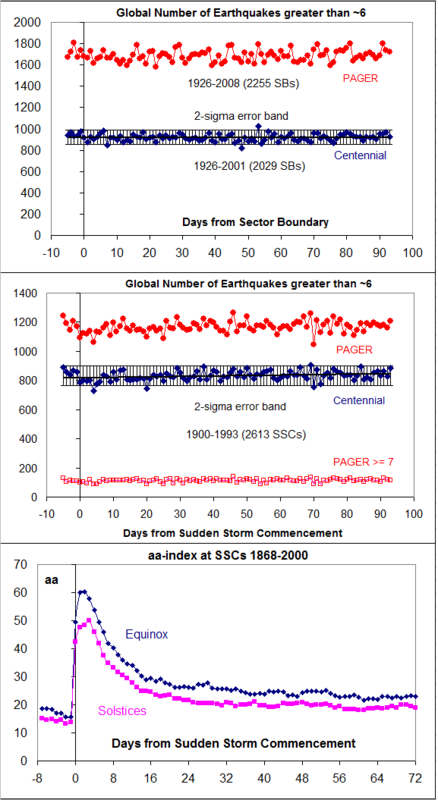 Solar Activity causes both Earthquakes and Eruptions, who needs less Ice? So, were the fast warming and the volcanic activity caused by a third variable? This would suggest the likelihood of different lag times for each effect. IOW, it wouldn’t have to be “global warming causes volcanic activity and volcanic activity causes global cooling”, but “X causes global warming first, and then volcanic activity, after which there is relative global cooling, both because of the particulates and because we’ve passed the peak of the cycle of variable X”. Indeed, you are right- the blast made the landslide, not the other way around. The video of the eruption is the most dramatic nature film ever, do you have a link where it might be viewed? But that is not what hooks the funding. So the press release talks about post-glacial isostatic rebound, which can be linked to…….Global Warming! Hot Dog! Connecting dots in a fractally complex phase space is the narrative fallacy run rampant. Popper, Taleb, demarcation problem, inductive failure, not falsifiable. As I recall it wasn’t exactly the same. The Iceland conjecture was a jumped to conclusion on much smaller scale. Ok, let’s say we’re all on a large sailboat. Someone comes up and says some kids drained the 250 gallon waste water storage tank into the ocean as a prank and now we are in danger of tipping over. We all laugh. But then someone comes up and says some kids threw 10,000 pounds of ballast overboard as a prank and now we’re in danger of tipping over. Nobody laughs. 100 years of melting of a modern (small) ice volume vs 4,000 years of melting a glacial period ice volume (huge). Looks plausible. Canada land mass is still rebounding after the last time there was about a mile of ice over most of the country. There is no doubt that imbalances and movements (changes) within the thin surface crust are likely to open or close conduits for magma to reach the surface so a relationship seems likely. After all, the surface layer crust is extremely thin (relatively speaking solid land is like a thin skin floating on hot gooey plastic rock just below the surface) and the mantle actually sticks out in a few spots (like Gros Morne). Here’s my theory. When the Earth warms, the speed of tectonic motion increases, Hence volcanic action increases. Warm earth moves easier than frozen earth. This idea begs the question: Was tectonic plate speed constant as the Earth’s temperature changed? By the way, doomsday here in South Florida is pretty nice. Maybe some showers later today. If every day were doomsday, I’d be OK with that. Soooo according to that the most volcanically active period in the last umpteen thousand years would have been right at the end of the younger dryas and right at the end of the preceding warm period that collapsed before it could become an interglacial ? Can any geologists on confirm/deny that ? And Yes I could look it up Myself but it`s late and I`m too tired to start searching for relevant material on the net , especially relevant material that looks interesting. If he just hadn’t said that. 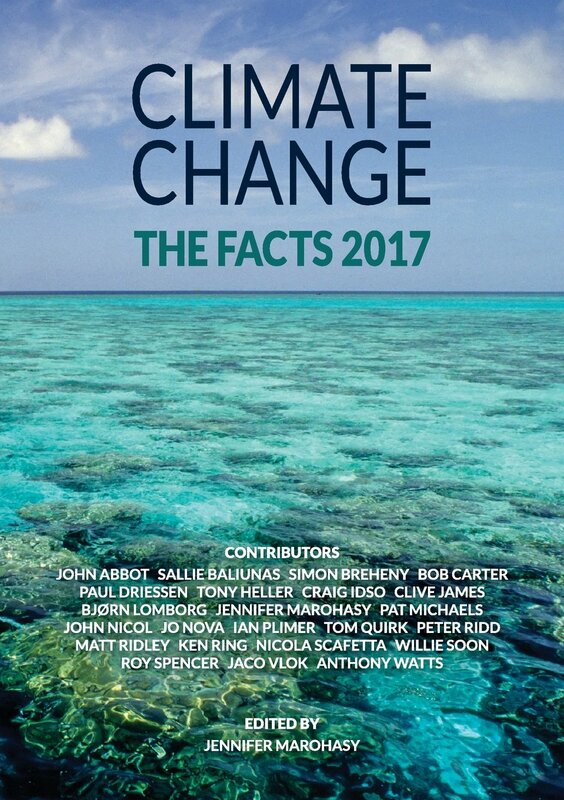 It is unclear, based on our current understanding, that any possible effect to the climate by man is even discernible, so why even mention it? a) IVI2, SAOT, MSI, & DVI are coherent with Southern Ocean temperature, SouthEast Pacific Ocean temperature, winter (DJFM) integral of NAO, & north pole geomagnetic field jerks. b) at interannual timescales VEI is spatiotemporally turbulently coherent with the Chandler wobble, QBO, ENSO, & solar wind speed. Aggregate laminarity of multiscale multivariate turbulent spatiotemporal fluid coupling IS OBSERVED. There’s no need and moreover no sensible reason to speculate about existence. Macroscopic properties ARE CLEAR. Micromodelers can have their neverending controversies about how to micromodel underpinning spatially localized temporal event series details, but their grey micromodeling disputes & discussions canNOT touch our black & white macroscopic view. The laws of large numbers & conservation of angular momentum give global constraints that are beyond the limits of sensible dispute, so dark agents of ignorance &/or deception rudely attempting to distort, obfuscate, & otherwise harass can have a cold splash of water in the face and if that isn’t enough to entice sobriety we have an ethical duty to outright ban them from our community for promoting dangerous 2+2=5 social intractability. As discussed in every thread on this and similar topics, that ‘correlation’ is completely spurious. Not a model in sight? Yes? No? If you are going to do a multi-variate statistical analysis you have to have some kind of mathematical model to process the data. The key issues are: How well does your model represent reality? How well is the model specified? What statistical techniques were applied? How good is the data going into the model? These were the things that were emphasized when I was going through extensive training in statistical modeling. If the model comforms to the rules of linear algebra and yields a finite solution, you will get some kind of result, not matter what data you throw into the model or how poorly it is specified. A lot of that is the problem with the high priests of the Church of AGW: poorly understood processes; poorly specified models; really iffy data. “How did the Mayans know we’d be measuring time from Greenwich, England? They recognized logical necessity. Where else could one measure it from? Having not read more than the abstract something that strikes me is that this is a theory based on observation of some correlation (likely not a good one). They note that sea level rise corresponds with a delayed increase in volcanic activity. OK…but what we know from the rock record is that sea level changes are directly correlated with increased plate tectonic activity. Plate tectonic activity on the other hand has had different levels of activity (as demonstrated by paleomag) throughout the entire observable period, independent of the presence of global ice sheets. And it goes without saying that increased speed of subduction of oceanic plates would result in increased partial melt rising in back arc settings resulting in increased volcanism. The ring of fire which I believe is the subject of their study sits along these subducting plate margins. So at this point using an Ochams razor approach I would suggest that the correlation they are seeing has nothing whatsoever to do with ice melt and everything to do with changes in plate tectonic activity for other reasons, perhaps changes in external forces such as tidal forces or the earths rotation or more likely changes in dynamics within the upper mantle. An interesting Sea Level chart, 22,000 – 6,000 years ago, “Western Pacific Post Glacial Sea-Level History.” Yellow River sub-aqueous delta. Liu, J.P., Milliman, J.D., Gao, S. and Cheng, P., 2004. Holocene development of the Yellow River’s subaqueous delta, North Yellow Sea. Marine Geology, 209(1-4): 45-67. There’s probably a third factor involved which affects both climate and volcanic activitiy. 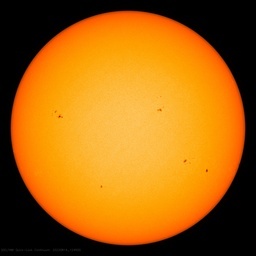 If Piers Corbyn of weatheraction.com in UK is right, that third factor is solar activity. Great way to get funding for your field of science – find an AGW link ! The dark agents of ignorance &/or deception cannot hide from the brightest lights. Hierarchical distortion is unsustainable. The errors WILL be corrected in future. The laws of large numbers & conservation of angular momentum are NOT anthropogenic. You NEED to stop ignoring thermal wind. I recommend that you voluntarily suspend your contributions until you get a handle on it. If such suspension does not come voluntarily, it’s my responsibility to recommend that the community consider giving you a helping hand. Ignoring thermal wind is a GRAVE error. Milankovitch cycles are reflections of changes in orbital mechanics. These would be expressed on earth as changes in tidal-body forces, rotation rate, and the angle between tidal force and rotation axis. Models and simulations are not a bad thing, all of the electronics around you is designed and simulated with models. But these models are actually validated in a lab on a test bench and we understand how the components in the design work together. We don’t have this level of understanding with weather/climate. There has been significant volcanic activity during cold periods on the planet, it was less clear what the connection is, this paper ads to the discussion and the discovery or a true connection. Try putting the horse in front of the cart ! Earth as 2 million cubic miles of fisssionable material under high heat, high pressure and variable particle bombardments from solar and galactic cosmic rays. This results in variable fission with two by-products, heat and elemental atoms. Heat causes expansion and the daughter elemental atoms take up more space than the single parent atom, with both forces causing increased mantle pressure. The climate/tectonic signal is then masked by offsetting self-buffering systems at the surface. For example, the internal mantle warming from tectonics is hidden by atmospheric ash that reduces solar insolation. Since CO2 is one of the natural elemental compounds formd from this variable fission, this change is also reflected with a six month lag period in atmospheric level changes. The ice pack rebound hpothesis hardly applies to the vast number of ocean and tropical volcanoes that have not be buried since the Popcycle Planet era. Earth’s baseline temperature is set by variable mantle fission, and tectonics is a real time reflection of those changes. Thanks John H. didn’t get back to my computer to answer mpainter.. If the added weight of so much water can cause earthquakes, then it should be able to affect volcanos. Many Central American volcanoes aren’t far from where one set of tectonic plates go under the plates on which the volcanos lie. If you cause tens of meters of land to all of a sudden become covered with water, which is what happens when an ice age goes to an interglacial, you cause some land to sink with the extra weight, you are changing the forces that allow magma to travel toward the surface, or so it seems to me. Whether that has relevance to today is unclear, we aren’t going through a period of increasing sea levels by almost 400 feet, which is what happened when the ice ages turned into the interglacial. Suppose that sea levels rose two feet in a century: would that cause added vulcanism? That is what the issue will be for science (as opposed to the PR firms). Earth as 2 million cubic miles of fisssionable material under high heat, high pressure and variable particle bombardments from solar and galactic cosmic rays. This results in variable fission with two by-products, heat and elemental atoms. I took the first year geology course at UTAS nearly ten years ago. While Carey’s work wasn’t covered in the formal lectures, there were several optional lunch-time lectures provided, one of which was a presentation of expanding earth theory by one of Carey’s students. As your link also demonstrates, access to Carey’s ideas is available not only through the school (which he founded), but also by the availability of the papers from the expanding earth symposium. How is this “lock[ing] out dissent”? Mitrovica has worked with Peltier in the past. Although the 1978 paper was using a model, we have to remember that by then, science was not dictated by ideology and it was the disparity of seemingly contradictory observations that prompted Clark’s reflection, not the model forcing itself upon real science. Clark explained these observations elegantly. This sentence in the new paper “Our analysis yields a statistically significant detection of a spectral peak at the obliquity period” gives the order of magnitude of the phenomenons and time scale that is discussed by these authors and de facto kills any alarmist interpretation of their result. The principles are sound for the end of an ice age. A 125m rise in sealevel and enough continental ice loss to generate 25m of isostatic rebound in the Arctic (personal observation, Banks Island) does create a large change in tectonic stresses. What does have a large impact post-glaciation on volcanic emissions is the loss of mountaintop glaciers in volcanic regions, though The extra mass stops volcanic eruptions that would otherwise have happened. The Champagne cork popping concept. As seen on Mt. St. Helens and beneath Antarctica. This is a local, not a regional or global event, however much the ashfall is seen globally This goes on for thousands of years after the principal deglaciation ends. While technically correct, this report will be seized upon by Romm-McKibben-ist warmists, however, to support their extreme events (new term? ), i.e. the volcanic portion, connection with a 2.1 mm/yr GMSL and 0.15C/decade global temperature rise. P.S. Post extreme weather, how about “extreme events”? Population migration, wars, crop failures, election of Repubican governments …. all evidence of Global Warming from CO2. I find such ideas hard to evaluate because geologists are still operating on a faulty and incorrect paradigm or model of the geological history of the shift from Pangea to the Present continents.The current theory of Continental Drift made a big splash in the 1960’s when subduction zones were found so scientists could understand how continents could move around on the surface of the planet, thus finally explaining that “Atlantic River,” as an airline ad once had it. But the continents did not just skate around on the surface of the planet. The diameter of the Earth itself has increased. Part of the separation of the continents was caused by expansion of the globe. Now that is a startling idea from a very weird source (a young-Earth Creationist! )–but it is easily and cheaply tested. Inflatable globes are easily bought on the internet (or sometimes, from toy stores) for just a few dollars apiece. I started with just two of them, inflated one to represent the current Earth, and started cutting the other one up to recreate Pangea, beginning with taping America, Europe and Africa back together. I saw how edges matched, and how many river systems and continental edges were consistent with the idea of expansion from an originally smaller diameter (roughly 2/3 current diameter). Antarctica fits into the Pacific neatly enough, but what about the Arctic? That part puzzled me for a while until I noticed its corkscrew shape, and realized that it had twisted open. The Cambrian and other early eras are deep ocean life. That is because Pangea was entirely underwater. There was no land until the end of the Devonian. More recent eras are especially scrambled up. We know this especially from the Piri Reis map, which dates from before Columbus and shows lands that were then unknown.These were depicted in greater accuracy than then-currently-known areas. Among other things, Antarctica is shown as it would appear without ice. I do not believe research that requires the Antarctic ice sheet to be more than perhaps 100 000 years old. Does Willis Eschenbach’s post of July 30 2012 http://wattsupwiththat.com/2012/07/30/new-data-old-claims-about-volcanoes/ not cast some doubt about the linking of volcanic eruptions with falls in global temperature? RE: St. Helens, @tgmccoy and mpainter: the blast caused the landslide. According to the photo-sequence and a bunch of other geologists who were there, the landslide started first and “uncorked” the blast a few seconds later. Pressure and magma movement caused a large, weakened bulge on the north face. That eventually gave way reducing overburden pressure on the magma chamber and then the gases in to expand it a near supersonic blast. Look at this video of St. Helens from Raging Planet. 1:16 Start of Video of north slope as it slides. 1:16 to 1:22 there is only landslide. No ash. 1:36 cut back to the video: Black ash plume 90% up the peak, grey ash plume jetting laterally about 50 % up near the top of the slump. 4 panel diagram of the St Helens slump-eruption. Within a few seconds after the onset and mobilization of the debris avalanche, the climactic eruptions of May 18 began as the sudden unloading of much of the volcano’s north flank abruptly released the pent-up pressure of the volcanic system. My God! They discovered isostatic adjustments, again. That volcanic cooling is complete nonsense. it stays up there in the stratosphere and never reaches the troposphere. Pinatubo cooling is simply a misidentification of a naturally occurring La Nina cooling as volcanic cooling because its timing just happened to coincide with that expected from the eruption. Same is also true of other so-called “volcanic” cooling incidents. But what happens when the timing of the eruption is wrong? What happens is that an El Nino warming takes place and there is nary a sign of any cooling. This is what happened to El Chichon in Mexico – no cooling after it, just an El Nino warm peak. There are also intermediate cases. Read my book “What Warming?” pages 17-19.
roadblocks and restrictions and were right on the south edge of the blast/slide. He had pictures that were every bit as good as the most famous of them- from the south. No one knew they were also…. His middle name was, I kid not, Darwin…. Interacting dynamos could be physically modelled to get a rough estimation of change in solar activity= what change in earth effect. However the abstract is interesting speculation and it can be tested, how? Wait for paywall to drop? Radon has a half-life of only 3.8 days. Radon is an inert gas and can only come from nuclear decay. Earthquake monitoring well frequently report Radon spikes just prior to events. Nuclear decay produces vast quantities of heat and loose Neutrons and Protons which then form daughter “elemental” atoms. The combined volume of these daughter atoms would occupy a larger space than the parent atoms. Please provide the Leif approved explaination for the obviously non-constant tectonic activity. And AGW is not the only faux science that needs to be slayed. The Raging Planet video, while well done, is a photomorph of the photo sequence from Gary Rosenquist. Here is a youtube video by “theoutofdoors” that maintains the stills and puts time on them to the second. It is still a photo superposition, but it is much clearer to see the original data. Rosenquist took at least ten photos, but only 5 mosaics are shown here. 0:08 8:32:21 am. pre slide. 0:10 8:32:47 am slump in progress. 0:13 8:32:53.3 am peak and mid mountain ash jets in progress. 0:16 8:33:05.7 am bigger ash cloud to top of photo, not yet to foot of slump. 0:20 8:33:18.8 am ash above top of picture, overtaking slump foot. Can’t help but think that if there is something to this, then it’s a small factor. The Earth system is somewhat complex – I think that’s agreed..
WUWT readers and contibutors have combined to produce a list of scores of [possible to somewhat probable] factors in climate variation. I have no idea what weights to give all these factors. No one factor, I think, is likely to be preponderant. Whether Kutterolf et. al. have highlighted a new factor or not – nd whther this has any weight at all – it has provided some debate – much heat, some light. Appreciated. “Rogue Star” by Frederik Pohl has your sentient star. Wu et al, 2011, Accuracy of the International Terrestrial Reference Frame origin and Earth expansion, Geophysical Research Letters, V 38, l13304, 5 pp. Where do you get off posting this pseudo-science BS as if you speak from authority? Have you not heard of Gondwanaland? Large parts of Africa, Middle East, Antarctica, China were all land areas throughout the Cambrian through Devonian. This is well-understood science based on countless published information. God save us from liberal educations. I must agree with you there: No one can use a “biblical reference” as a correction to “science” without also recognizing that all of the sequences described in that Text do match excatly the sequence of events “science” now confirms as happening. Dates are a little bit off – but heck, can you blame a bunch of itinerant shepherds who needed 40 years to cross the desert to keep track of powers-of-ten when the zero had not yet been invented? 8 fluids => interstellar dust + gasses + plasma + ions) from the waters below (waters => fluids => solar system dust + gasses + plasmas condensing into the planets and their atmospheres) were gathered into one sea – even though at the time of the writing there were clearly many “seas” around the land – and “one sea” confirms that there was only one land at some time. Even though “science” didn’t agree until the mid-60’s when plate tectonics and continental drift was accepted by the “powers that be” in academia. And obviously, plants had to come from that sea (and clear up the air) before the stars and moon became visible. Equally, birds (flying dinosaurs) existed before today’s mammals. And today’s snakes came last of all in the evolutionary stream …. Well, Man was last. Although the data between the events shows a link, there is no established cause and effect. In other words does the change tectonic activity cause the climate change or does the climate change cause the tectonic activity change, or is there some other effect that causes both to correlate. Unfortunately that is only the abstract. It would be interesting to read the full study. Per chance I finished reading Robert Felix’s book “Not by Fire but by Ice” last night. I am not promoting his book but it revolves around reversal of the earth’s magnetic field being the prime motive for instant changes in the earth’s climate and the many major extinctions of life over the ages via ice ages and undersea volcanic eruptions. It seems pretty well researched and its conclusions make sense to me, however I’m an engineer not a geologist or researcher in earth science. The operant term is eruption, given in the vernacular as blast. Obviously the imminence of the eruption pushed the side of the mountain out until the mass dislocated. It is a quibble, but the eruptive process and the dislocation of the mass were one and the same, i.e., the mountainside was blown away. The “slide” was the dislocated mountainside gliding on a cleavage initiated and defined by eruptive gas, and accelerated by that gas, as shown in the film as the grey ash cloud at the slide and contrasting with the black ash cloud that erupted above the collapsed mass. Appearances that the “slide uncorked” the eruption confuse the initiation of the eruption with its effect. In fact, the eruption uncorked itself. Yes, but so much climate science seems to be based on models based on models based on models. They use one unproven model, as if it were real data, in the calculations of another model. Too many ifs and buts and assumptions and prejudices. Seems like every month I learn of a new Milankovitch period. I believe there are five for eccentricity alone. With so many to choose from is it any wonder we can find statisticaly significant yet unsatisfying correlations? Mt St Helens left a few inches of ash over a moderate area but tuffs from the Long Valley Caldera near Mammoth have been found in Sonoma County, CA. I drive to work past Miocene tuffs thirty feet deep in Sonoma and ask myself where on earth such tuffs are being formed today? Can’t answer that question. Darn it there goes my tea all over the screen again. That should be up for the quote of the week. Thanks for the laugh. (I was thinking the same thing, Remove Ice and thing start jumping, aka isostatic adjustments.) Don’t they teach that in GEO 101/102 anymore? something strange had happened when I was a baby which led her to believe it to be true. have posited many other reasonable explanations for the occurrence. reincarnation was one of them.